Once again, MIT set a new record. Their Alcator C-Mod tokamak nuclear fusion reactor reached an atm of 2.05, a new leap in the right direction for nuclear fusion. So real quick, what is nuclear fusion? The basic idea behind nuclear fusion is to generate plasma and put it into a continual rotation, producing large amounts of energy. The benefit over nuclear fission, which is what current nuclear reactors use, is that the components necessary are derivatives of hydrogen, which is much easier to get than enriching uranium. The other perk is that fusion is the joining of atoms and fission is the breaking of atoms. Since this breakdown is what can cause a meltdown it ceases to be a possibility here. This is where pressure is key; the higher it is the closer the atoms are pushed together and thus get closer to fusing. Now let’s get to what this machine is. The main methods would take forever to go through so basically this machine is a tokamak, a device that uses magnetic fields to generate plasma trapped in a torus, a shape similar to a doughnut. It’s one of the most heavily researched methods of fusion but only one method among dozens being researched. So, what did MIT do this time? This modern dream of the future managed to attain a plasma pressure of slightly over 2 atms, attained over 35 million degrees Celsius, had a magnetic field of 5.7 tesla, contained 1,400,000 amps of electricity and hit 4,000,000 watts. The plasma only lasted two seconds but in that time 300,000,000,000,000, with a trillion, fusion reactions occurred for each of them. Let’s give some comparisons for these numbers. The Sun at its heart, is 15.7 million degrees Celsius, a toaster takes about 9 amps, a fluorescent light bulb 14 watts and a typical magnet could be about 5mT. So you would need two suns + a little more, 1,140 household magnets, 155,555 toasters and 285,714 fluorescent light bulbs to equal the sheer force of this reaction. But the pressure was a significant objective because it’s difficult to achieve high pressure with high temperature and vice versa. This pressure will aid in pushing forth progress on fusion in the future. Excited for Rouge One? 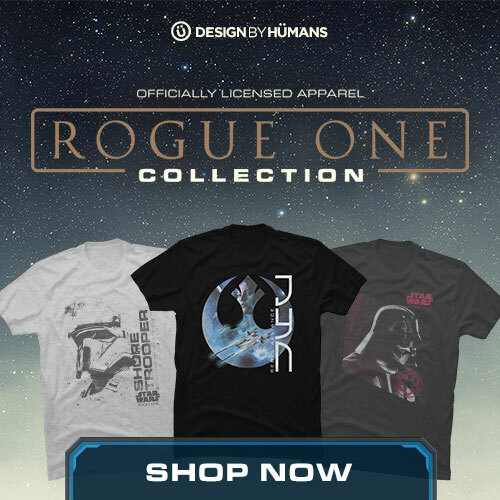 Exclusive designs available only at DesignBy Humans. The Alcator series of reactors was started in response to Soviet scientists announcing their success with a tokamak. Over the years at MIT the reactor was replaced and modified, arriving at the model that was used for this experiment. The Alcator has a long history of achievement and will be celebrated 50 years from now as a monumental step towards nuclear fusion, hopefully at the first plant where they produce it for homes. Unfortunately the funding for the marvel has ceased and it will be disassembled. Truly a sad end to the important research on our collective energy future.